It’s a rainy day in Georgia. It’s a cold, dreary, miserable day in Georgia. It’s a day of naps, and fires, good books and quiet music. It’s a day of comfortable blankets, and fuzzy slippers. It’s a day of such stillness that the rain drops falling down the windows is the rhythm of my dreams. It is a day that I can survive within. 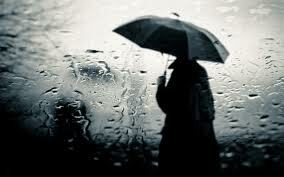 I don’t know if it is my bi-polar, my character, or just me, but rainy days are the days that I can fully function in. It’s like the sound of cello resounding in a great hall, or the waves moving in the stillness of dawn. It not only moves me, but somehow it releases me to feel more. The rainy, dark days are like keys to my emotions, unlocking them, setting them free and allowing them to reign. I have always wondered if the sun is simply to harsh for my deeper emotions, like they are living vampires that can not withstand the truth of the light. Living where I do, we don’t get a lot of rain. I have to pull in the cellos, the silent movements of great composers, to push my feelings far enough into the light that I can write, or feel the darkness that has always created me. My meds take away so much of the darkness, so much that is a vital and important part of my survival. For those of you who do not understand, let me clear up why people stop taking their meds. Consider yourself; consider the person that you are and the person that you often pretend to be. Now imagine for a moment that a part of you is missing. Imagine that a part of you is so repressed by a medicine that you voluntarily take, that you can’t even feel it, although each and every day you know that is supposed to be there. Imagine a hole that you can’t feel, but you know is there. Imagine a depression in the earth that you know will is dug, but all you can feel is the shovel. Imagine for a moment a piece of you gone, and you hold the knife. And while many might not understand, try to listen to my next words. It is a piece that is as vital as the breath that I breathe. It is a piece I need to complete my full self, to make me real, to make me alive. It is a piece that can not be covered up, but must be completely eradicated because that is the only way my children are guaranteed a mother. I may be a zombie, but at least I am there. But on rainy days like today, it feels like a small fissure in the my own core, allowing the trickle of the darkness to come out and hold me. Music, haunting and lonely, can do it. Art that makes me stand still, dark and provocative can do it. The rain can do it. Like I said, I truly can’t explain to you why this is. And I truly don’t care. I often get questioned about my tastes in the arts, in the music, in the written word. Why don’t I enjoy the sun painted bright, why don’t I like a beat that lifts instead of suppresses, why do I like those characters that survive what some probably couldn’t? Why do I need the darkness, when I so diligently take medicine guaranteed to eliminate it? Because that gust of darkness allows me to take a deep breath. Because that all-consuming depression is familiar, more familiar than the ray of the suns. Because that darkness is freeing. And today, in the loneliness of the rain, I will breathe deeply until my cells are once again revived. For the truth is, I need the darkness more than I have ever needed the light. The truth is this is a part of me; a very real and very true part of my soul. So, bring on the rain.